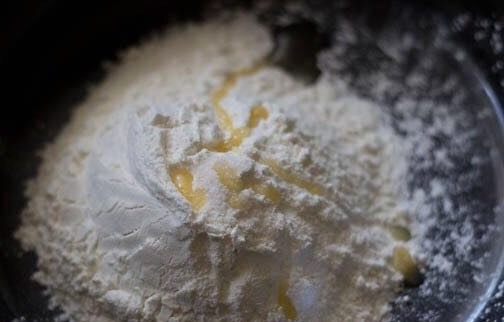 Take the all purpose flour (maida), salt and oil in a bowl and mix it. Add water in parts and knead to a firm dough. Cover the dough and keep aside for 30 minutes. Finely chop all the vegetables. 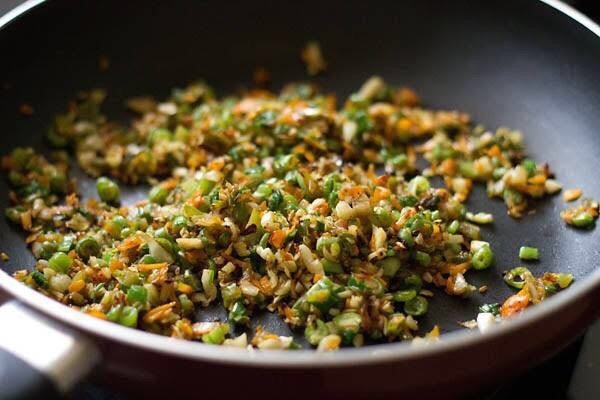 You can also use a food processor to chop the vegetables. 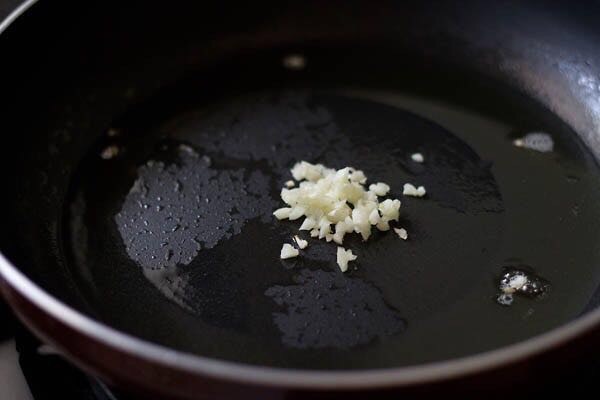 In a thick bottomed pan heat oil, add garlic & saute for 2-3 seconds. 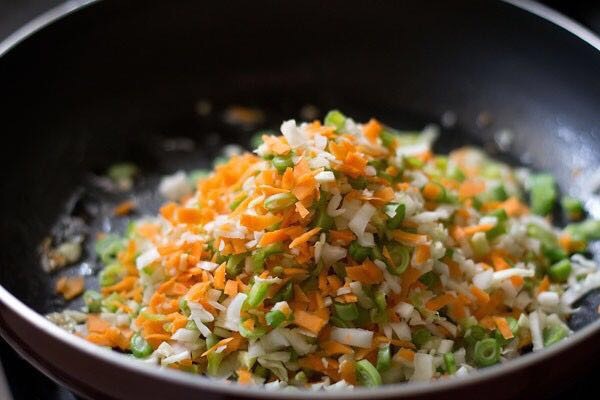 Add onions and saute for 10-15 seconds & add all the finely chopped vegetables. Increase the flame and stir fry the vegetables on a medium to high flame. 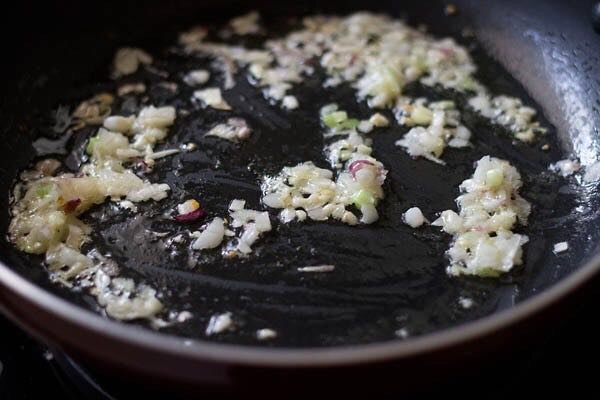 Saute or stir fry for 2 to 3 minutes. then add soy sauce, salt and pepper. Continue to stir fry on a medium to high flame for 2 to 3 minutes more. Switch off the flame and add 1 to 2 tbsp of the spring onions greens. mix well. Heat water in a steamer or in a electric cooker or in a pressure cooker. let the water come to a boil. 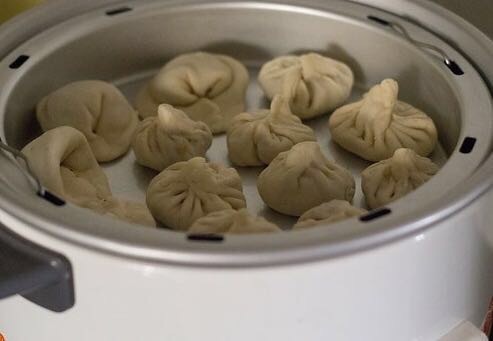 Steam momos for 5-6 minutes. 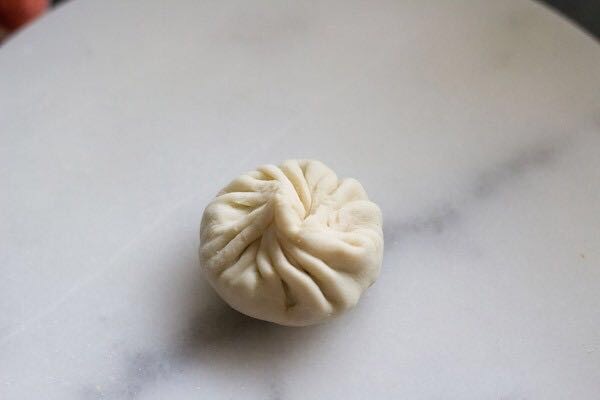 The steaming time may vary upon the thickness of momos outer layer. 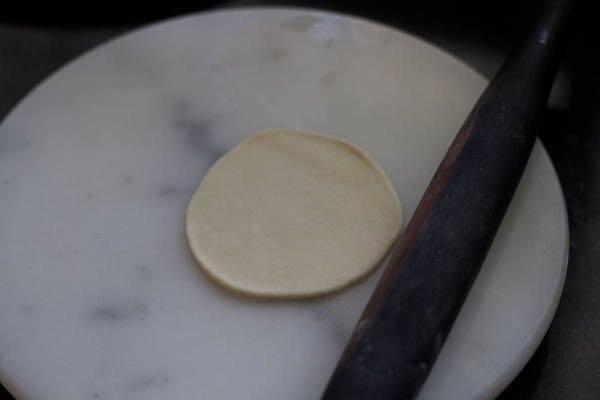 When you touch the momo then dough should not feel sticky to you. this means they are done and the momos will have a transparent look. 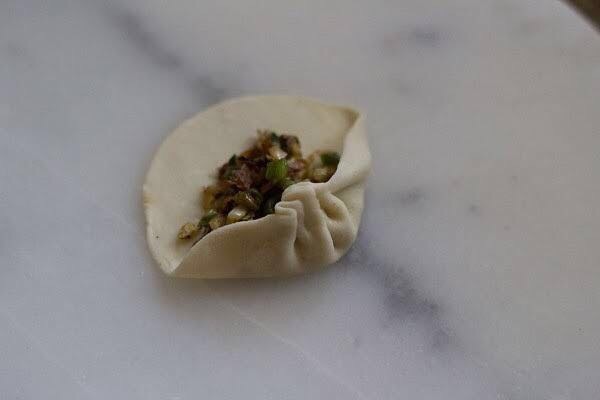 Serve vegetable momos with a spicy sauce like tomato-chili sauce or red chilli garlic chutney. Momos go very well with a spicy sauce.